Google's Fetch As Google feature within the Google Search Console now forces you to use a captcha each and every time you try to submit the page to the index. You can try it yourself, go to the feature under "Crawl" > "Fetch as Google." 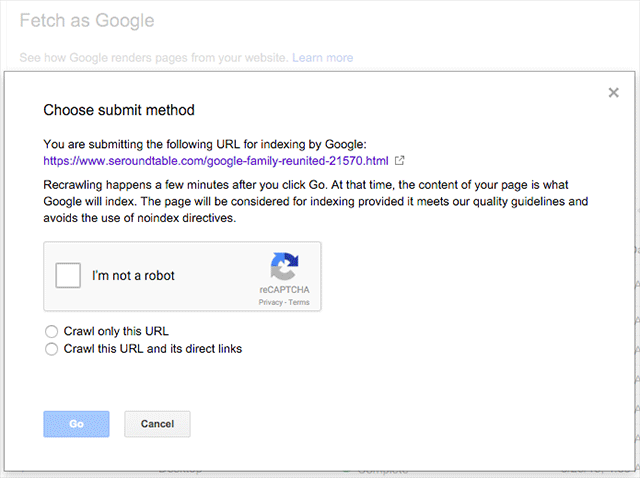 Then fetch a URL and then click the Submit to Index. It is an easy captcha to click, but the captcha use to only come up every 10 or so pages. I am not sure why people need to use the feature so often but if they do, it might take them an extra click to get the task done.